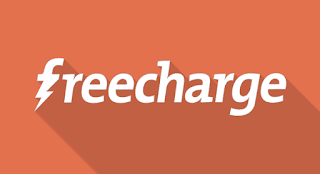 Freecharge Is One Of The Best App For Instant Mobile Recharges, Bill Payments, Wallet Payment & Cashless Transactions. Freecharge Has Recentry Comes With A New Offer Where You Will Get Flat 25 Cashback On Minimum Recharge Of ₹25 . Offer Is Valid Till 13 May November 2018. Oferr Valid For All Users Of Freecharge & You Need To Pay Via UPI Only. So Without Wasting Time Let’s Start Follow All Steps Carefully. 5.Pay Amount Via @Freecharge UPI Only. 6. Done! !You Will Get Cash Back Of ₹ 25 Within 24 Hrs In Freecharge Wallet. 2. Valid Till 13 May 2018. 3. Min Recharge Amount ₹25 Or More. 4. Offer Valid On Payment Via UPI Only.